Gig rating: *****/5. This gig was rocking outstanding. Pete Townshend entered with shades adorning the top of his head, a quick flick of the neck - they were in place and the first chords of I Can't Explain (if memory serves me correctly) were blasting out of the speakers. It wasn't long before they were into Substitute and Who Are You. Baba O'Reilly sent a shiver through the bodies off the sell-out crowd, nevermind just down their spines. 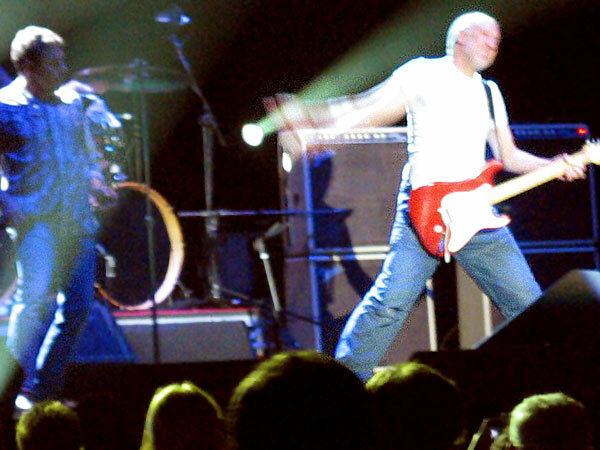 Pete Townshend was pulling the rock 'n' roll moves, a few of todays bands could do worse than take note. When I actually took my eyes away from original members Roger Daltrey and Townshend, the second guitarist, Simon Townshend (Pete's brother) wasn't doing too badly either, though the bassist looked a bit stationary, Zak Starkey was doing a fine job on drums. 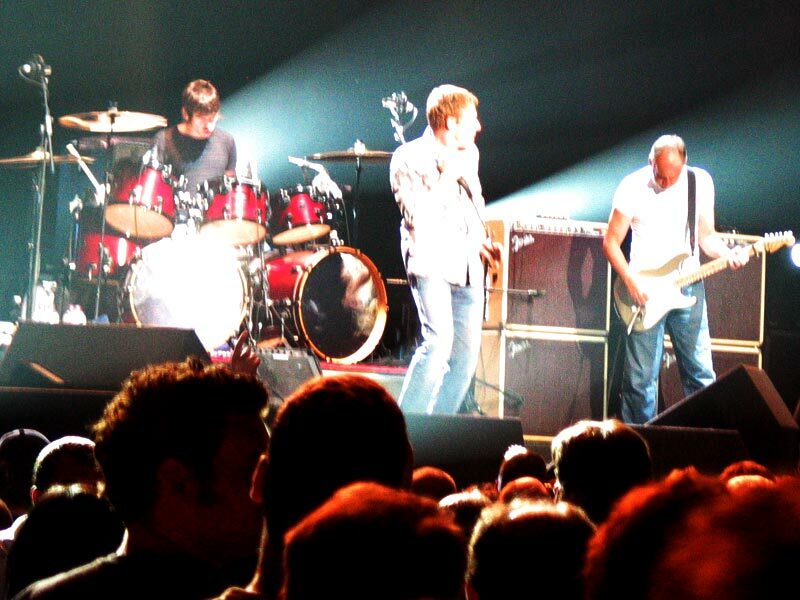 It was hard to focus on anyone else though, with the stage presence of the two Who stars, two near-permanent spotlights noting Daltrey and Townshend's every move. 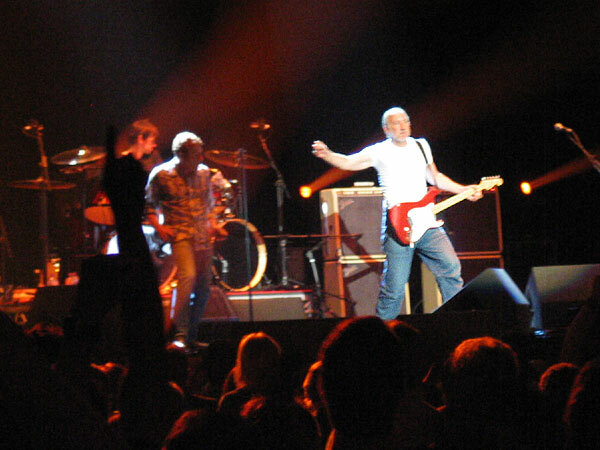 "I'm going to introduce the band," said Townshend after two tunes from Quadrophenia "...it's me and Roger!" he quipped. And he was right, though did of course go on to introduce the remaining members followed by a discussion on their cult film "like many of you, I'm still waiting for a real ending to Quadrophenia to come to me." Perhaps unintentionally, the next two songs did only feature Townshend and Daltry, the first a solo acoustic from Townshend, the second joined by Daltrey. One of two new songs, Good Lookin' Boy was introduced as "this is basically us being crap," classic Who riffage was just waiting to escape from Townshend's guitar throughout the song; it did, but only for a brief few seconds during the bridge. It wasn't them being crap, just average. Townshend affirmed they would try again. You Better You Bet seemed an ill advised addition towards the end of the set, though a short but snappy My Generation and highlight of the night, Won't Get Fooled Again with windmills galore and Daltrey's emphatic "Yeaaaaaaaaaaaaaaaaaaaaaaah!" immediately made amends. Would there be an encore? What hadn't they played!? The answer was Pinball Wizard and We're Not Gonna Take It. After raptorous applause people started to leave, only for a second encore featuring a 10+ minute version of Magic Bus. On the second return Daltrey commented on how good the night had been, only for the microphone to whack him clean across the face, "even the microphone's getting it's own back," but it didn't matter. So, possibly the best gig I've attended since Superdrag's London double-header in February 2003. If The Who are this good now, how good were they then?